I’ve always had an uneasy feeling about the term “Christian artist.” In no small part, I’m influenced by some of the baggage associated with being in the Contemporary Christian Music industry. Also, I am just enough of a rebel that I don’t like being labeled. And if you’ve read my book, you understand just how highly nuanced these two words can be. So the term, “Christian Artist,” implies many things, intended and unintended. I’ve thought about this a lot. Why does that label make me feel like I need to explain and justify myself? When I plumb the depths of my soul, I come to grips with this one thought: I have always found myself a little embarrassed by the Christian subculture. Andy Crouch, in his fascinating book, Culture Making, defines culture as “what we make of the world.” He contends that this definition has two separate but related meanings. First, culture is what we actually make (e.g., Genesis 1:26). Films, cities, fire hydrants, novels, gardens, social networks, economic systems, governments, media, and civilizations are just some of the things that make up the culture we create. But there is a deeper sense of the phrase that is also valid as a definition. “What we make of the world” is also to ask the more profound question, “What do you make of that?” In other words, culture is also how we make sense of things. Culture also includes how we interpret, assign meaning, create paradigms, and relate to one another and all of creation. Both of these definitions—what we make, and also how we make sense of the things we create and the universe—is what define culture. Think about that for a moment. If this is true, then the creative people of the world are one of the main creators of culture. We not only create the things of the world, but we also create many of the means upon which we ascribe meaning to the world. And this is why the Artist is a Culture Maker. The songs we sing help people relate to their feelings and emotions. The movies we produce open people’s eyes to worlds and worldviews. The blogs we write, the paintings we paint, the books we author, the plays we perform—every artistic expression has the capacity to help people interpret and relate to the world. We artists give people the voice that they sometimes cannot articulate. Think about your favorite music. Chances are, much of the music you love you discovered when you were in your teens and twenties. This is typically the time when one is trying to define oneself, when the deep questions of identity and purpose and meaning and acceptance become prominent in one’s life. And music becomes one of the ways in which we define ourselves. My twin daughters are now thirteen, and the music they listen to (wholly other than mine) is completely specific to their subculture and their relationships. Their music is a part of how they are discovering who they are. Have you ever read a book that changed the way you saw the world? I remember discovering the sublimely chaotic and boldly ironic writing of Kurt Vonnegut as a fifteen year old. For better and for worse, I never saw the world the same again. I had the same reaction when I first heard Steely Dan’s Aja album, with their angular jazz voicings and way-too-cool pop grooves and cryptic lyrics. There’s a little bit of Steely Dan in every song I’ve ever written since. And I attribute my life-long adherence to pacifism to watching the 1941 release of Sergeant York with Gary Cooper as a child. That black and white movie influenced me in ways I will never fully understand. Finally, the writings of Dallas Willard turned my understanding of the Christian faith completely upside down, and my faith in Jesus Christ has forever been molded in profoundly intimate and life-changing ways through his works. There are others too. From C. S. Lewis to Miles Davis, from King David to the Apostle Paul, from Rocky & Bullwinkle to Toy Story—all have played a part in how I make sense of the world. As artists, what we do influences the people around us. Because as artists, what we do is what we make of the world. If we have an audience, it is inevitable. 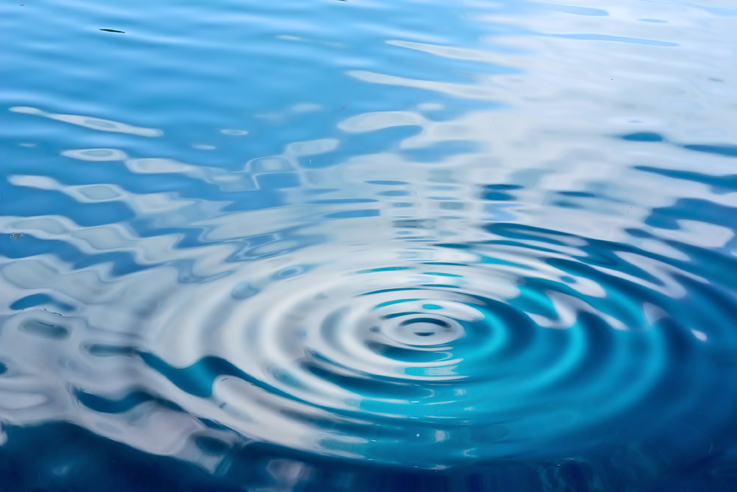 Like small ripples of water, our art goes out into the world; it relates, invites, incites, provokes. The question is, how are we influencing the world around us? Is our art consistent with who we are and what we believe? Are we speaking to their hearts? Are we inspiring them to great things and good intentions? Are we saying something unique, or are we simply swimming in the tide pool of the Christian subculture? What exactly are we influencing them to do? Your comments are invited. I’ll be doing a follow-up to this in the next blog. Posted in art, Blog, christianity, church, faith, Imagine That, made in the image of God, movies, music, Poetry, religion, worship, WritingTagged andy crouch, Culture Maker, Dallas Willard, Kurt Vonnegut, Sergeant York, steely danBookmark the permalink.